Below you'll find steps and demo videos to access the core features and functions within this new administrative tool. Questions along the way? We're here to help at support@blueboard.com. How do I navigate to Blueboard Admin Tools? Finding Admin Tools is easy, and we can't wait for you to try it out! You can either go directly to run.blueboard.com and follow the login instructions as needed, or toggle from your Manager dashboard if already logged into the Manager App (at wellness.blueboard.com). To toggle from the Manager App, from the top right corner, click on Your Name to access the drop-down menu. Click "Switch To Admin Tools". "Company" will be filled with your company's name. To switch back to Manager or Employee Apps, revisit the top right nav and toggle between apps as needed, clicking on "Employee View" or "Manager View." The Manage Approvals function is designed to help streamline the approvals process, for Blueboard clients who opt-in to using a manager hierarchy and approvals process. When you arrive, you'll be presented with your open queue of rewards to review and approve. You can quickly choose to Approve or Deny via the green thumbs up or no/prohibition buttons at far right. To review the reward in more detail, click on the recipient's name to expand the record, accessing Achievement and Personal Note records to aid your decision making. One of the most exciting additions to Blueboard Admin Tools is the ability to access your Post-Experience Engagement Survey data and aggregate scores in real-time, via beautifully-designed charts and data export functions. The Feedback center serves as a live rolling feedback average since your program's inception, with data combined across all programs/departments. At the top, see the percentage of users who have completed Post-Experience Engagement Surveys to understand your completion rates. Across the middle, see rolled up scores for how recipients rated their experience working with their Blueboard Concierge, as well as our four questions tied to long-term engagement impact. To export all raw data into an editable Excel file, click "Create CSV". To dig into an individual recipient's score and verbatim feedback, click the blue "Feedback" button next to any recipient record to expand for full details. The Reward Data Export offers a running record of all rewards distributed through the Blueboard platform, included status, employee information and appreciation notes. For Blueboard clients choosing to sync employee metadata (i.e. Employee Numbers), this data will additionally be available in your reports. Administrators will have the opportunity to filter reward data by a variety of segments, including program types, and pull data from the date range of your choice. Once the data is prepared to your liking, click "Create CSV", and your report will appear ready for Download within the Report List. Reports will remain available for future download should you need them. The Manage Budgets function allows administrators to transfer budgets across programs or departments, when departments are set up. This function will also be valuable should you need to distribute credits (when earned) across departments. To operate, simply choose the department from where you're drawing funds (From Budget) and the department that will receive the transferred funds (To Budget). Write in the amount of budget to be transferred with a memo note. Click "Transfer Budget" to complete the transfer in real-time. Once the transfer has processed, you'll see the record added to your Budget Transfer History at the bottom of the page. This section serves as a record of all transfers with their corresponding notes.  We're excited for you to use Blueboard Admin Tools, as you dive in, please share your questions, needs or ideas for improvement with our Client Success team at support@blueboard.com.